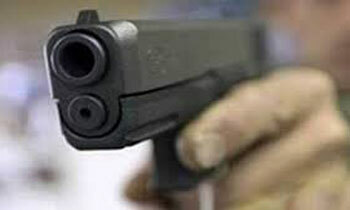 A Sri Lankan woman was killed by gunfire in Buraidah, Saudi Arabia Saturday morning. A Saudi man who was accused of opening fire on the woman later committed suicide by shooting himself. The dead woman was identified as Priyanka Jayashanker, 42, who worked as a maid in the man's household. Her body was kept in the hospital morgue in Al-Ras for further legal procedures, according to informed sources. Police received information about the incident Saturday morning. They said the Saudi man killed the Sri Lankan maid inside his house with a hunting rifle. The 30-year-old Saudi later shot himself with the same gun, said Lt. Badar Assahabani, spokesman for Qassim police in a statement. He said based on preliminary information, the man was suffering from a psychological disorder. No matter whether he is suffering from a psychological disorder or not, our embassy has to be smart enough to take blood money from his family. It will be some kind of relief to her family in Sri Lanka even the life cannot bring back though. "Blood Money"? Shariah law is convenient when it is on our side isnt it? Even though if he not shot him self to die. He knows he will get death penalty. Its not eazy to escape from law enforcement. In Sri Lanka. Probing the Aluthgama, Gintota, Ampara and Kandy violence.